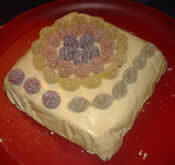 When I was about, 4 my mum taught me how to make the simple cakes, as I am not the biggest fan of sponge cakes. At all! So over the past 10 years I have began to adapt it to my own. 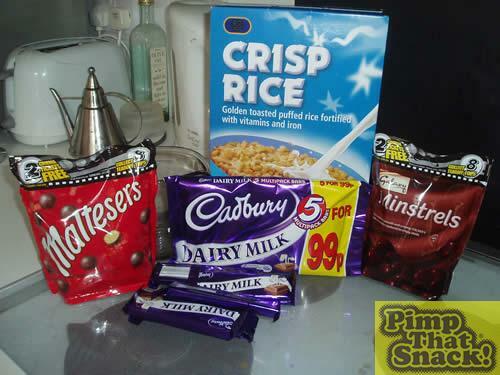 2 years ago me and my friend – E-Meister started pimping crispy’s for friends as presents. A bit lame. But hey! 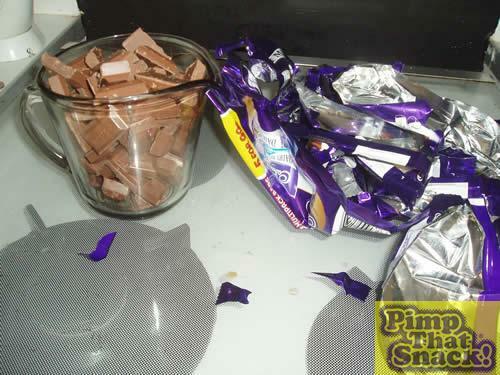 Step 2) break up squares of chocolate and put into jug. Put into microwave (im just too lazy to do it the correct way!) for 1-minute intervals and after each minute try to mix with fork. It took me 1 minute and 20 seconds in a 950 watt microwave. 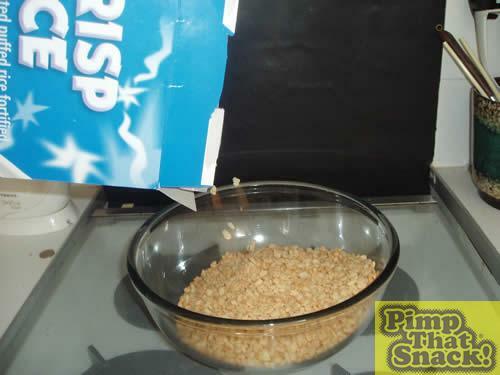 Step 3) In between waiting for chocolate to melt and forking, empty packet of “crisp rice” into large mixing bowl. I used about…half of the packet. So there’s plenty left for breakfast. Step 4) Now. 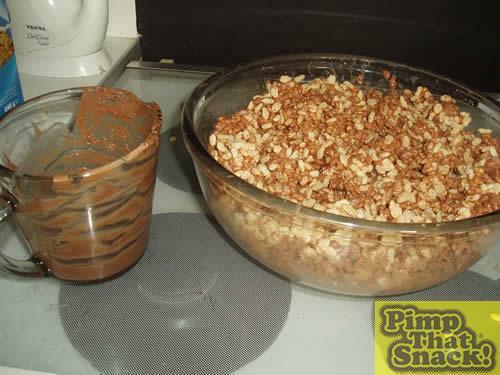 Spoon the melted chocolate into the bowl. 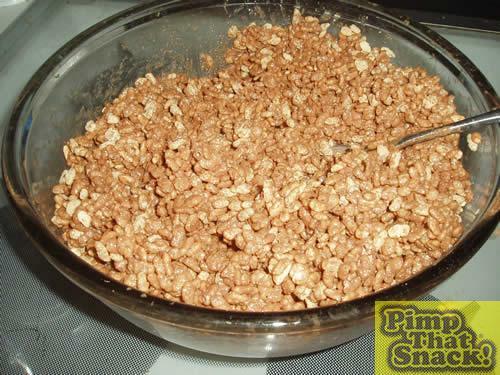 It looks like a big bowl of maggots… but it tastes a lot better.